Switching among past, present, and future verbiage is a very common problem in beginner songwriters’ songs. It can really mess the whole song up. It could even screw up your melody’s cadence. An example of this is using “did,” “does,” and “do” all in one song. Carefully read through your lyrics and make sure you stay in one place and don’t time travel. You can even have a friend read the lyrics too. If they’re confused about the tenses, you’ll have to fix something. In your head, you know what’s going on in the story, but if you don’t make that clear on paper (or screen), then the listener will be lost. So make sure you’re not skipping over crucial info that moves the story or idea along. If the listener is lost, it doesn’t matter how cool of a melody or chord progression you have, the song as a whole will miss the mark. It won’t fully resonate. If you have multiple characters in your song, it can be difficult to navigate using “he” and “she” clearly. It can get really confusing really fast. 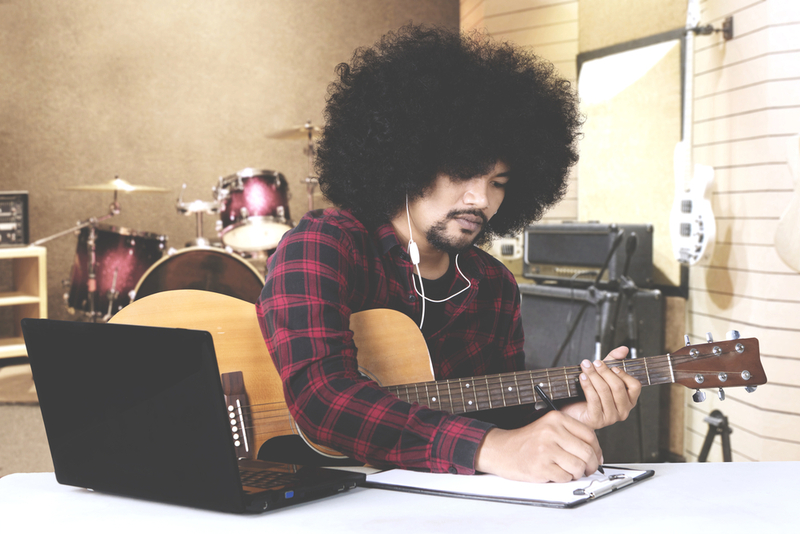 Go through your lyrics and make sure all of the pronouns allow the listener to clearly identify who is who and who’s doing what. It’s so easy to lose focus in a song. I do it all the time (though I think I’m getting better at not doing it). Usually, the second verse is where songwriters get lost thematically. Often it’s because you’ve said everything you wanted to say in the first verse, so when the second verse comes around, your grasping for words or pictures. One thing that can combat this is outlining your song at the beginning. That way, when you get to the second (or third) verse, you know exactly what it will be talking about. You know what the focus should be. I know you have four really cool melody ideas, but that might be too many for the chorus. Try to use only the two best melodies in the chorus, then keep your verse melody simple. If you use too many melodies, it’s hard for the listener (or you) to remember them all. It’s okay to repeat a melody -- it helps give the song structure and make the whole thing more memorable. Just as it takes a lot of work to build a real bridge, so it is with a song’s bridge. If there’s no body of water to cross, why build a bridge? Your song’s bridge has to have a clear purpose, or else it risks being pointless. It has to be something you absolutely need to say to tie the song together. If you don’t need to say it, leave it out. Your bridge needs to make the song stronger, nothing less. If your song has no “goosebumps chorus,” no big moment, you may need to reevaluate your melody. One thing that can help your chorus stand out from the rest of the song is contrast. If your verse melody is in a low-mid register for you, make the chorus melody in the mid-high register (or vice versa). Likewise, if the verse melody has short, choppy syllables, open it up during the chorus and use more sustained notes. If the listener can’t pick out the big moment of the song, go back to the melody and see how you can make it more impactful.